Pa Yearp Mek and Nern Lom Fon are on Yord pha mee route 1600m. In Aiy Kiew the waterfall area. 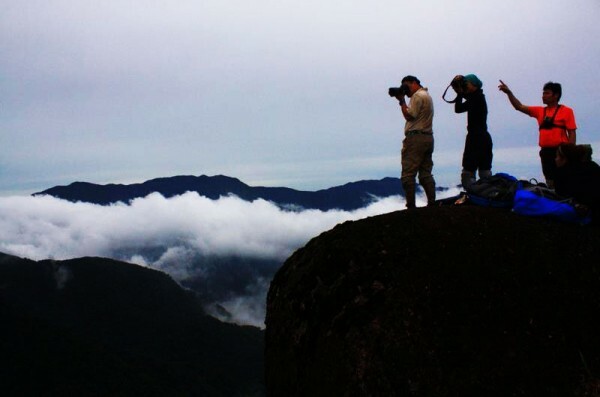 This is the most beautiful, quite hard and very exciting from all Khao Luang Trekking Routes. You have to go under over clime up and crawl. There is only one way up and walk around the circle and you can’t go back in the same way. We’ll pass big waterfalls in the midst of forest. There are also many orchids. It is a popular route for trekkers. Don’t miss it! You will be met and given breakfast before starting. You will be introduced to staff. Have opportunity to change and check all luggage. Start at Ban Hauy Taeng and on to Nern Rup Kaek for the beginning of the trek, with a easy climb. Passing by “Dong maha sadum” the biggest tree fern in the world. Lunch: stop in the middle of the forest to enjoy lunch. In the afternoon continue to “Nern Prarp Searn passing Dong Tao Rang yuk” palm type. With a Very big trunk height more than 50 m. need 2-3 adulls to reach around. Late Afternoon trek to “Pa Yearp Mek” we’ll make camp on the ridge cliff and have only the clouds float around us. The weatheris about 10-15 cํ height 1350 m. 270 degree. Beautiful scenery with very good town views and the Gulf of Thailand and we can see faraway to Ta lum puk cape and other of Khao Luang in different height levels. Hot drink and watch the sunrise through and foggy hills in the morning. 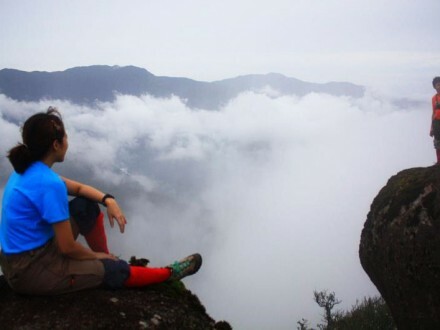 Breakfast: Breakfast tidy & pack up to leave Pa Yearb Mek and on to Khao Pha Mee route height of 1600 m. pass Sun klouy Mai (orchids) or foxxy cliff (hoop kao roy lae) this route is full of orchid and flora you can see in only Khao Luang. Eg. Bulbophylum ground orchid (orchid’s different type) and many ancient plants. 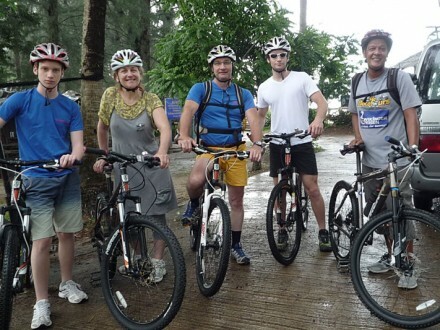 Lunch stop at Yord Phar Mee to view the beautiful top peak or cliff ,ancient forest and differences type of birds. Enjoy lunch. Rom Lok . 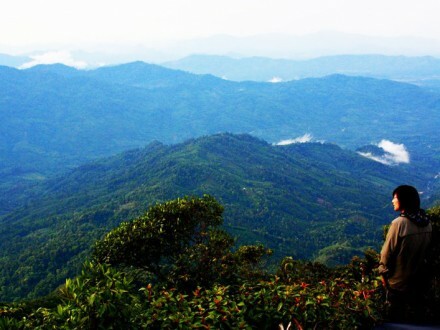 Yord Phar Mee is a small hill about 30 square two-meters and ancient forest, orchids. Nern Lom Fon be a part of Aiy Kiew waterfall, at beginning of the hill is a small forest (Pa-pru) full of spoor of animals came to eat soil in salinized soil land. Only Yord Pha Mee in geography can you view the river year round . Breakfast: Breakfast tidy, pack up and leave Nern Lom Fon to Nan Rafa. Lunch stop at Ancient Stream to view the beautiful top peak or cliff, ancient forest. Enjoy lunch. Afternoon, continue trekking to Nan Rafa. Nan Rafa is headwaters of Aiy Kiew Forest Park considered as the highest and most beautiful waterfall. 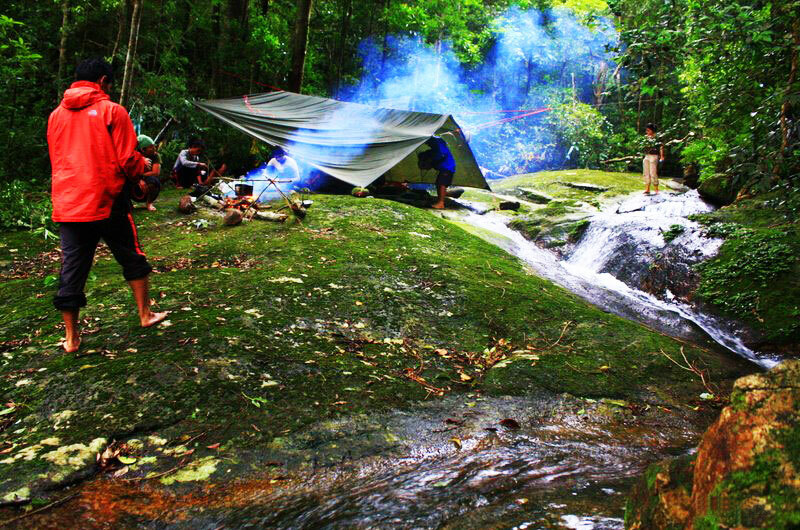 Not many of trekker reach where we will accommodate on the second night. Last day of journey have fun with waterfalls and take photos. Morning breakfast pack and leave waterfall, Passing some streams and beautiful waterfall, each one different from the next. Lunch stop at Hnarn Sai Gward Lan on the beautiful floor of Aiy Kiew waterfall. Evening our staff will transfer you to Transportation or Airport .